Shivers Enterprises is the exclusive authorized dealer (sales & service) of Champion™ pumping units for the Southeast Texas region. 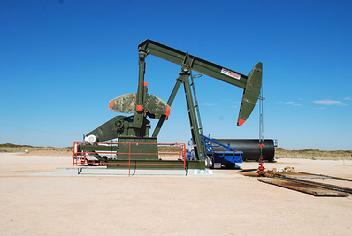 Shivers Enterprises has decades of practical experience in all areas of pumping unit sales, service and manufacturing. Shivers Enterprises reputation for integrity and performance in the pumping unit industry has been tested and proven since the 1930s. Decades of expertise, experience and input from pumping unit specialists, like Shivers, have gone into each Champion™ model. Champion™ pumping units are engineered and manufactured to compete head-to-head with all major brands in the industry. Champion™ pumping units are designed to deliver high performance solutions to meet oil field operators’ demand for reliable, yet affordable artificial lift equipment. Champion™ pumping units meet the highest standards of quality and reliability in accordance with API and ISO specifications. Shivers Enterprises has Champion™ units available with varying strokes and structures in sizes ranging from 228 to 1280. There's Nothing Else Like a Champion™. 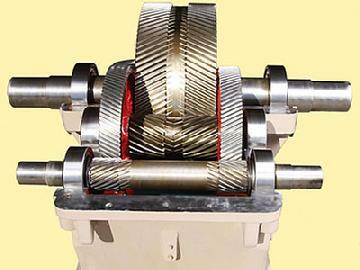 The Champion™ (API) gear reducer is a proven model of quality design and manufacture and the Champion™ double-helical involute gears exceed the maximum load capacities of competitive units. The gears have also been designed with the intent of having domestic capability for future parts replacement. Champion™ pumping units are manufactured with oversized and self-aligning bearings and castings used in wrist pins, saddle and equalizer bearings. Champion™ has also chosen to implement a reinforced equalizer with overslung load distribution rather than a tubing style equalizer with underslung distribution found on most imported pumping units.